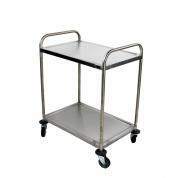 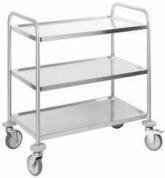 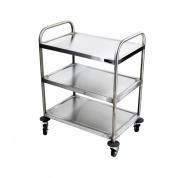 Ideal for use in restaurants, hotels, B&BS and a wide array of other establishments, the Stainless Steel 3 Tier Trolley is perfect for serving food in canteens, for room service, or collecting plates. 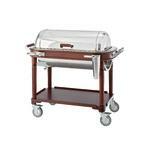 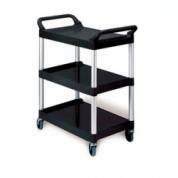 Includes 3 rotating castors, 2 of which feature brakes. 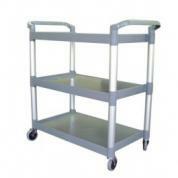 40 kg maximum load each shelf.